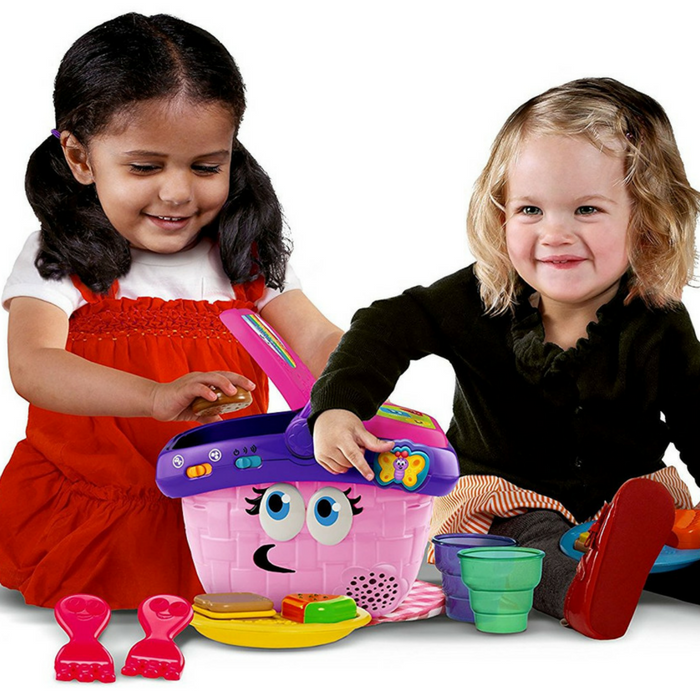 LeapFrog Shapes And Sharing Picnic Basket Just $14.99! You are here: Home / Great Deals / Amazon Deals / LeapFrog Shapes And Sharing Picnic Basket Just $14.99! Score LeapFrog Shapes And Sharing Picnic Basket at Amazon for just $14.99 PLUS FREE shipping with Amazon Prime or for orders over $25! Set a space for fun, learning and sharing. The Shapes and Sharing Picnic Basket helps little learners explore shapes, colors/colours, manners and more. Over 30 audio responses encourage pretend play, and the 14-piece set helps children build motor skills as they sort, match, stack, empty and fill. Parents can connect to the online LeapFrog Learning Path for customized learning insights and ideas to expand the learning. Children build motor skills as they sort, match, stack, empty and fill. Store everything you need right in the basket for easy clean-up every time! Lift the basket lid to hear sweet instrumental music and fun sound effects. Appropriate for children ages 6 to 36 months. Skills learned while your kids play: pretend play, shapes, colors, and fine motor skills.